Read what PCC students share about learning, growing, and serving on a Christ-centered campus. Coming to PCC wasn’t a hard decision for Grace D’Amico. With a background in the Abeka curriculum, she was familiar with the college. But two years here has taught her so much more. “I always knew I wanted to do something with music. I grew up taking a lot of piano lessons since I was four. And I’d seen PCC a lot over the years because my brother and sister came here too-I was six years old when I first stepped foot on campus! After I became a Christian, I had it in my heart that I wanted to go to a Christian college. My sister came to PCC and then my brother. I came and visited, and I really liked the atmosphere and the campus. But the real decision happened when I came for myself during College Days. The main thing that made me comfortable was the spirit. The friendliness…everyone was so nice! The girls in the dorm room I stayed in made an effort right away to get to know me and make me feel right at home. Plus I’m a beach bum, so Pensacola beach was a bonus. But still, I came a little nervous. Since I’d always been homeschooled, I’d never been in a classroom for all 12 years of school. But actually being here felt so natural and comfortable. The teachers were really nice about taking the time to slow down and explain what we needed to do. You don’t get that everywhere. I majored in music, and Mrs. Jaffe is my private music instructor. That’s definitely been a highlight—I looked up to her a lot even before I came! She’ll spend forever explaining things to me if I need it… and she really is just the best. Ever. But I mean, everyone is excellent. All the music majors I’ve seen come out of the program aren’t just good, they’re amazing. Excellent. I have nothing but good things to say about the music program. It’s prepared me well for whatever direction I take next. Right now, I’m thinking about playing for soundtracks. But who knows! I’ve still got a few years to decide… and a lot of opportunities to get involved with. Jake Adkison had his whole life planned out: he wanted to be an engineering major and play college football. But God wanted something else for him. 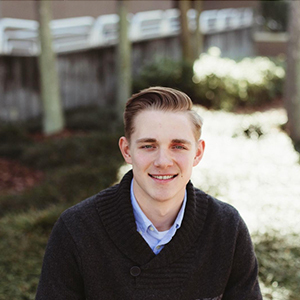 Read how the Lord turned Jake’s thoughts toward ministry and guided him to be a pastoral ministries major at PCC. “I grew up in a Christian home. I was saved at the age of eight, but between the time of my salvation and my call to preach, it was a battle between what I wanted and what God wanted. In sixth grade, I gained assurance of my salvation. But that next year, I entered middle school. Attending the local public school, I began slowly moving away from God and was picked on for being a Christian. At this point, I took a nosedive to learn all I could about things of the world. When I was a junior, our church visited PCC. I had never heard of the school and thought a trip to Florida would be fun. At this point in my life, I was seeking to be an engineering student and maybe play football, but God had other plans for me. While visiting PCC, it was awesome to be in a place with so many people that loved God. After visiting the school, surrendering to the ministry was in my heart, but I just tried to ignore it. My junior and senior year of high school, I had the opportunity to be involved in the Fellowship of Christian Athletes program. Again, I felt the Lord calling me to preach. Then the night before one of our studies, I was preparing and knew that God was talking to me. For the last few weeks, I had discussed how God could use anyone, from Rahab to Paul. I knew that God wanted me to surrender to the ministry and that God could use anyone—even me. Attending PCC, the Bible classes have been so profitable. As a product of the public school system, I was never around much Bible knowledge. Everything I knew was from personal devotions and church. These classes have been humbling and educational. 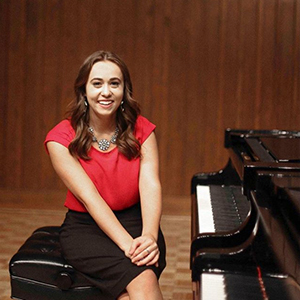 Rosemary Quigley’s story starts with a passion for singing and a dream to grow that passion at PCC. Read on for more of her musical journey—and all God’s used her to do over the past three years. “When I was ten, I started singing in a traveling youth choir. To be honest, I thought I was really good back then. But when I came here, I realized how much I needed to grow—how small I was compared to this large campus. I remember walking into vocal class the first day with all the other freshman vocal majors. We took turns singing in front of the class and I realized right away, wow, there are all these other people who are really good, too. 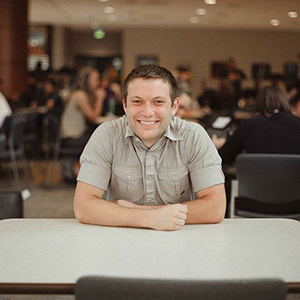 Brett Westervelt first came to PCC as a dual enrollment student. 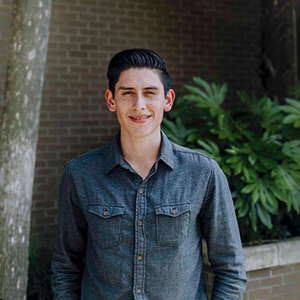 Now in his second year, he shares how God is preparing him for his future in youth ministry. “Back home in Connecticut, my grandfather was the pastor at our church for all my growing up years. I really looked up to him, and he played a huge part in my decision to study ministry. I think the biggest thing I’ve learned so far is that your reputation and character are so big. God’s really been teaching me in that area with all the opportunities I’ve had here—in classes, my collegian, traveling on the Proclaim ministry teams, being a class officer. I just go from day to day, fulfilling the tasks I have in front of me. This environment has been really influential for what I plan on doing someday. The teachers have been great. I have Mr. Taylor for my Romans class right now, and I love him. Really all the teachers are so knowledgeable. And that’s another reason I came here and stayed, because we have such a top notch arsenal of teachers ready to stretch us and give us all we need to move forward as students and Christians. Youth ministries majors here go to ministerial seminars, and hear guest speakers. They’ll give us practical talks about day to day life in ministry. They’ve given us tips for leading a church, leading a family—even what to look for in your significant other. Whether they’re in my major or just around campus, my friends have been a really influential part of my life here, too. Studying to be a pastor can get discouraging at times because you might be struggling in your own walk with the Lord. Some days you might go through periods of doubting, wondering if you’re good enough. I’ve been really encouraged by the example of upperclassmen and friends that have pushed me to press on and fulfill what God’s called me to. EJ Perez has a passion to teach math and music. 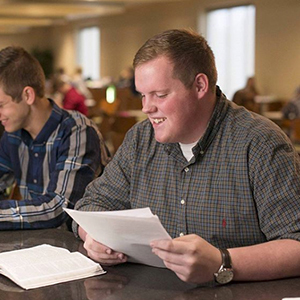 With that to go on, he took a step of faith when he chose his major at PCC. Read how God can work with a step of faith.“God has given me such a passion to teach. It hasn’t been easy getting to a point where I could, but the education program here solidified that passion in me. My class requirements started me with the basics. Once I was solid on the basics, I was ready to practice teaching my peers. I was nervous at first! But up there in front of the class teaching my first time, I knew I was where I was supposed to be. I loved it. I went from teaching just a few minutes, all the way to teaching full class periods. The good thing about actually teaching is you learn on the spot—how to evaluate others and yourself—and you learn what to fix. My second teaching field is music. When I first came here, I had no music experience—I just picked it because I had a love for it and I knew the Lord could work with that. I felt out of place at first and my teachers knew I struggled! But they met with me privately, they helped me to become confident in music and brought me to a point where I could teach it myself. Teachers here see your potential and don’t leave you alone to sort it all out—they push you to be your best. 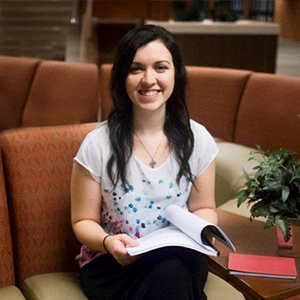 For Ariana Balka, getting to college hasn’t been an easy journey. 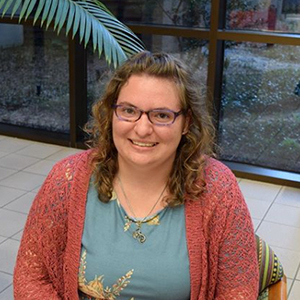 God used the unthinkable to grow her and bring her to where she is now—a freshman in the Early Childhood Education program at Pensacola Christian College. 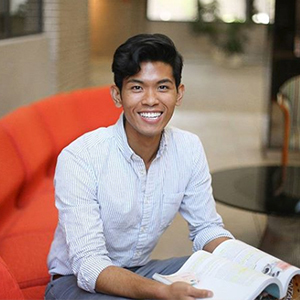 “My mom came to PCC and studied in the Education program—that’s how I first heard about PCC. I’m one of five kids, and Mom used the ABeka curriculum to homeschool us. I looked up to her a lot and wanted to teach right from the beginning—as a kid, I’d set up my stuffed animals like a classroom and teach them with ABeka flashcards. I dreamed about coming here like Mom—I remember we’d get PCC brochures in the mail with pictures of the dorms and the waterslide and I’d imagine being a student here and think, but college is SO far away! Then something happened that our family hadn’t counted on. Mom passed away during childbirth with my little sister when I was 11. Life changed a lot. We moved from South Carolina to Tennessee, and it all made me rethink my plans over the next six years. Mom had been an amazing teacher. I wanted to follow in her steps, and PCC seemed like the best way to get there. But questions still wracked my brain like where will I get the money? Should I go somewhere closer to home? Should I go to college at all? And as I prayed for peace about what was next for me, God provided a way through PCC’s work program. In March of my senior year, I applied to the work program—I was a little late in the year and figured if I even got in, I’d probably be cleaning toilets for the next four years. Instead, I was accepted to work at ABeka. I headed to PCC and spent the summer before my freshman year working with the ABeka curriculum and grading high school papers. This experience was a HUGE blessing and gave me a head start as I planned to move forward in the Education program. From the time Adrian Torres was four years old, he imagined himself playing competitive soccer at a higher level. 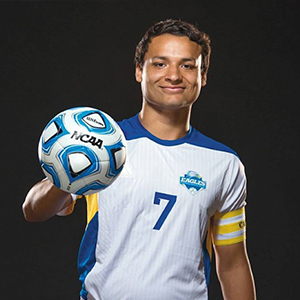 Read how the Lord fulfilled Adrian’s desire and led him to be a sport management major at PCC. “Life goes beyond soccer, and soccer is just a small part of my life; yet God answered a prayer in my heart from when I was little. My mom put me on a team when I was four years old in Mexico, and that’s how it all started. In Mexico, my parents had this vision of us getting a Christian education, learning English, and living in America. Because we were dual citizens, we could live in Mexico and cross the border to go to school in Texas. Although I went to a Christian school, I did not get saved until my eighth grade year. Salvation was something I knew about, but it wasn’t something that had become really personal to me. When I came to PCC, I really didn’t know much about the sport management program, but it was something that I had peace about, especially since I’ve had a passion for sports my whole life. I want to use my sport management degree to reach young people. Using sports, my passion, to reach kids would be a dream come true. Allison Shea first came to PCC with a passion for art, and no formal training. Hear how she’s worked from the ground up to being a senior studio art major! “Growing up, my parents encouraged me to be a doctor or an engineer. They knew I was book smart, and that those career options always have job openings. But I always loved to draw, even though I didn’t consider it as a potential major. Closer to my high school years, my aunt would come over and teach me the basics of drawing. Just basic anatomy and that sort of thing. My love for art really took off from there. I started looking around at art programs for college. I remember standing in one art university on the bottom floor and scanning the art work on the walls. Every floor was a different classification—freshman, sophomores, juniors, and seniors. I was surprised on each floor to see the lack of skill. PCC’s art program showed a world of difference in talent, and just mastering the basics. So when I looked at coming here, my parents said yes on one condition—that I study graphic design. And I said, ok that’s fair. That first semester, I found myself quickly falling in love with the drawing aspect of my major. The teachers were wonderful and really worked with me from the ground up. Actually lots of art majors who come here have no formal training, just like me. When I went home on break, I asked my parents about switching to be a Studio Art major. They didn’t want me becoming a starving artist! But we decided that if this was really what the Lord wanted me to do, He’d see me through it. My major turned into a summer internship for me at Camp Co-Be-Ac, where I got to use my skills doing photography and promotional work. I’ve actually accepted a job there for this summer after graduation, and then I’ll be coming back for grad school in the fall. I also was asked to help a pastor with illustrating his devotional book. Art just happened to open many doors that I never thought were possible. Bobby Walker hopes to use the passion God’s given him for sports to minister in schools back home in Tijuana, Mexico. 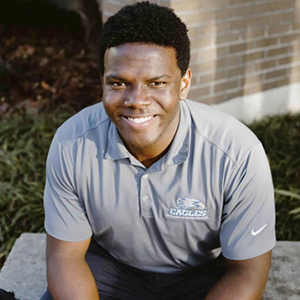 Hear how God’s shaped this goal over the last four years through Bobby’s sport management studies. My parents are missionaries in Tijuana, Mexico. They’re administrators at the English academy there. I grew up there using Abeka videos—that’s really how I found out about Pensacola Christian College, and it’s the main reason I decided to come. My first semester here, I chose to major in P.E. I took one education class and found out pretty fast that wasn’t for me. So I switched to sport management. I’d always known I wanted to do something in sports—especially soccer. What really stood out to me in the program over the years is the faculty, specifically all the coaches you have—Coach Lewis, Coach Christian, Coach Goetsch, Coach Sellars. They’re interested in more than your grades—they’re interested in helping out through all four years. Coach Sellars has been a big influence in my life. He probably doesn’t know this, but I look up to him a lot. Coach Johnson passed away, but he was an amazing man. Coach Johnson was the first person who reached out to me and told me “if we open a soccer program here, I want you to try out.” He believed in me. All that to say, the thing I’ll miss most about my major when I graduate next month is the faculty—they’ve all played huge roles in my life these last few years. Emily Milner always wanted to be a nurse to help people. Now, she’s learned that nursing can be more—a unique mission field to bring hope to people who need it. “Since being a little girl, I was interested in science. I’d always ask a jillion questions about everything and how it worked. I wanted to know the why’s. All the kids around me were saying I want to be a doctor and I remember thinking no way, I want to be a NURSE. PCC wasn’t exactly on my agenda—but everything changed when we made a quick stop by during a family trip. I found myself sitting in nursing classes, and I was just amazed by how personal everything was. The teachers would call on people by name, and students just seemed like they were having such a good time and enjoying what they were learning. Everybody I talked to was so friendly and would just say hey, yeah this that or the other, if you need anything just be in touch and feel free to ask questions! And I thought, wow that’s just… abnormal. It was huge to me. The more I researched, the more God started putting all the pieces in place for me to come. And since then, I haven’t second-guessed a moment of my time here. College has been the BEST experience of my life. I’ve learned so much! I remember back at the beginning thinking how am I supposed to use nursing to glorify God? Because, I mean, it’s nursing. You don’t think bringing people to Christ when you think nursing. But through the classes and the encouragement from teachers, I’ve learned that I can be a nurse and be a witness for Christ. It’s true that you find people in the hospital more than anywhere else who are at the very end of themselves. They realize there is literally nothing more they can do. It’s at that point that you have the opportunity—you have the answer they’re looking for. And that’s priceless. There’s nothing you can replace that with. 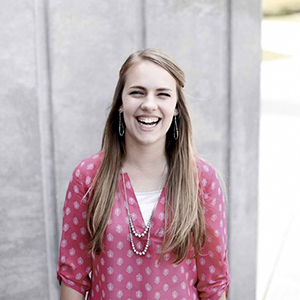 Shelby Rentz surrendered her life to God four years ago and decided to study missions at PCC. 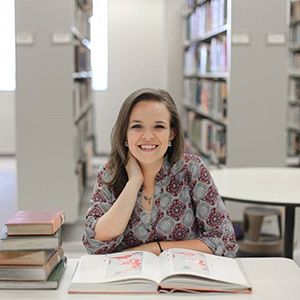 See how God has worked in her life since her freshman year. 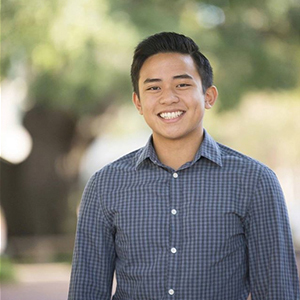 “I never wondered whether I was in the right place or not these past four years at PCC. The experiences I’ve had, the knowledge I’ve gained—it can’t be compared to anything else. I’ve been able to grow not only as a person and an individual, but also as a Christian. What I’ve really loved about my missions major is it’s so broad. There are so many directions I could take it. You know, missions is really not just a major. It’s a way of life. I could be a pastor’s wife, a counselor, a coach, a full-time missionary, or a worker in a Christian school. My missions major has equipped to do all those things. The Bible classes I’ve taken have really taught me to know why I believe what I believe. I’ve learned to back everything I believe with scripture and really understand it for myself. On campus, I’ve learned how to minister to any kind of people from any kind of background. There’s so much diversity here. I have friends from all over the world, and I love that. We’re all so different, but we’re the same because of our need for God. 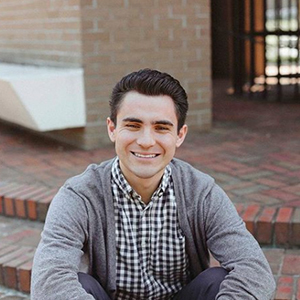 Studying Graphic Design has given Owen Moss a whole new perspective at college. See how Owen used a major change to grow as an artist and a Christian. “I started drawing when I was about 7 years old. At the time, I was just following in my big brother’s footsteps. But it quickly turned into something I loved. It’s funny, though. I didn’t think about drawing again until I was sitting in a meeting with my academic advisor at Pensacola Christian college. I was in my Freshman year studying Bible, and I’d recently started to think about changing my major. I wasn’t sure what God wanted me to do with my life, and my advisor asked what I really loved to do. I said, well I like… drawing and technology. So maybe Graphic Design? The problem was, I was already behind. Art majors require a lot of pre-reqs, and I’d come in as a spring freshman. My advisor suggested I really pray about it. So I went back to my room, and came knocking on her office door again 45 minutes later. Even with the extra hurdles, I wanted to do what I really loved and study Graphic Design. Since then, I’ve developed so much as an artist. Sitting down in my first drawing class reminded me right away of how much I’d loved art, even as a kid. And studying art has opened my eyes to a whole new side of life. I never noticed back then what I notice now—walking into a room and seeing the design on clothing and packaging. Art really is an expression of what you think, and everyone should have a way to express themselves. And no matter how you express your art, or whether you study Bible or Graphic Design, you can use your major to fulfill the great commission and reach the world for Christ. My name is Kylee Kosoff, and I am a Professional Writing major. Why Professional Writing? This is the same question I had, and I would like to share with you how God chose this major for me. Since I was six years old growing up in Randlett, Utah, I always loved to write. What started as a little hobby grew up with me. My writing progressed dramatically from when I was six to twelve to eighteen. My stories grew bigger, my characters developed, and writing became one of my favorite things in the world. Despite my love for writing, I never really considered the possibility of it becoming a career. I planned to take a few classes in college about writing, but I never planned for it to be my major. It was just my hobby. God, however, had different plans. I visited PCC for College Days, and I knew that this was where God was leading me. At that time, I wanted to be a teacher, and that is what I put down for my application. Before coming to PCC, Boaz Campbell hoped for a sense of community in the Political Science program. He’s found that and so much more as he’s gotten to know his fellow Poli Sci majors. Hear more about his first few weeks of classes! “I’ve always wanted to do politics, even though I wasn’t exactly sure what direction I’d take it. But when I looked at PCC’s majors and saw I could study political science from a Christian perspective, I just thought, ‘Yeah, that’s it.’ I’ve already learned so much in the program, even just in these first few weeks. It’s really opened my eyes to how the Founding Fathers envisioned our political system, and how far from that weâ€™ve gotten in government today. My first impression here was, ‘Wow, I don’t know anybody.’ And then, ‘Wow, I don’t remember anyone’s name.’ Finally, I’d recognize people, but all I could do was point to them and wave. But I loved the friendly campus right away. I love my teachers. I have nothing but good things to say. Cristian wants to use medicine to start an orphanage in Mexico. He didn’t always have that vision though. God’s used the unplanned and unpredictable to shape him and bring him to where he is today. “I didn’t consider Christian college until I was 15. That’s when I got saved. Right then, I enrolled in the small high school at my church and planned to go to Christian college an hour and a half from home. I’d study history education there. And that’s where I found myself about three years later, taking trains between college and home on the weekends. Dad had started pastoring a church, and it was on the rest of us in the family to cover the other needs. Ushering, music, sound, the offering—we did everything! It was hard to shift back and forth like that every weekend—and right around that time I’d also started questioning my major and college. Then Dad asked me to come home to take on more responsibilities in the church. So I sat out of college—got a part-time job at a medical health clinic. So much of that was God changing the direction I’d take with my life. At that clinic, I became intrigued with the medical field. I started with office work but quickly moved up to be in records, the pharmacy, and then assisting physicians. So I chose a new major—pre-med. I also chose a new school and found myself a year and a half later at Pensacola Christian College in Florida. I had one friend here at the time, and that was my only exposure to PCC. I didn’t know what to expect with classes, the environment—just everything about it was a whole new world for me. But I settled in quickly, and most importantly I learned. A ton. I’ve gained perspective here. My goal for the future is to be a doctor in Mexico, where I’m from. By then, I won’t care if I got an A or a B in college. I’ll care about what I took away from the whole experience—the perspective I gained, how I learned to adapt and mature. 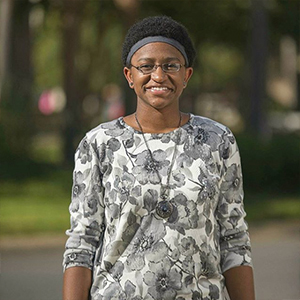 For Telondra Reynolds, going to college wasn’t the easiest option—but she knew it was where God wanted her to be. 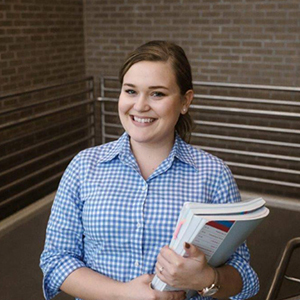 See how far she’s come as a management major at PCC. 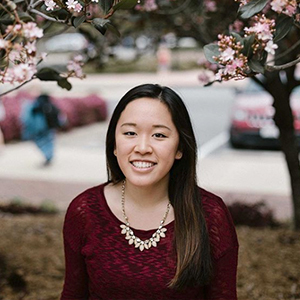 “I was terrified of people when I first got here—I secretly planned to hide in my dorm for four years. But meeting new friends, having opportunities to speak or sing in front of a crowd… it’s made me so comfortable with people. Being here gave me the opportunity to step out on my own and go deeper in my relationship with just me and God. It provided me with a spiritual environment conducive to making me a stronger Christian. I’ve grown a lot through my Bible classes—they really opened my eyes and inspired me to think about why I believe what I believe. 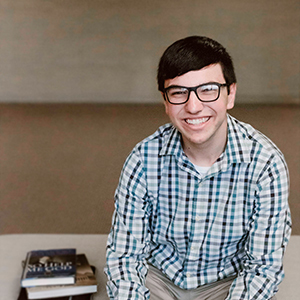 Read sophomore David Dare’s account of teaching deaf children in Peru and how the Lord used that experience to guide him to be an elementary education major.